An El Nino weather pattern is expected to settle in over South Texas this summer, potentially bringing warmer than normal temperatures to the area. The anticipated warming pattern could combine with gas prices that remain higher than normal following the harsh winter to impact summer energy bills. Although customers use less gas during the summer, CPS Energy uses natural gas to produce power. The average residential customer is expected to buy 1,572 kilowatt hours (kWh) of electricity per month from June through September, resulting in a bill of $174.37. That is a potential difference of about $21 from the previous summer. Several CPS Energy programs, including new ones that work with window units as well as central air conditioning systems, give customers the power to decrease the amount of energy they buy. CPS Energy is hosting six events over the coming weeks to showcase new and existing programs for customers. The Energy Savings & Tech Tour kicks off this evening at Miller’s Pond Community Center, 6175 Old Pearsall Rd., on the city’s southside from 5:30 to 8 p.m. For a list of all tour stops, visit cpsenergy.com. “Get out and see what best suits your needs. 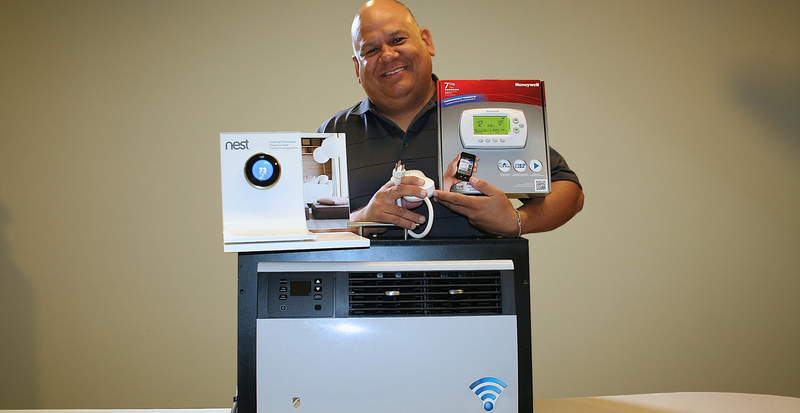 We have everything from an average of $5,000 of free weatherization improvements to a kit that helps manage window AC units or the Nest Learning Thermostat™,” Executive Vice President Jelynne LeBlanc Burley encouraged. “There is a strong need for energy conservation so we’re doing everything possible to help our customers lower the amount of energy they’re buying. It gives them a smaller bill and reduces demand on the state grid,” she added. Most of the programs listed are part of CPS Energy’s Demand Response program, which gives residential and commercial customers an opportunity to save on the energy they buy while also providing greater reliability for the state grid. Customers receive a bill credit following the end of the season, which goes through September. Customers also can take advantage of rebates for air duct systems, refrigerators, AC units, solar systems and more by visiting cpsenergysavers.com. Energy efficiency tips such as setting a thermostat between 78 – 80 degrees and raising the temperature 7 degrees when leaving a home for several hours are more ways to save.